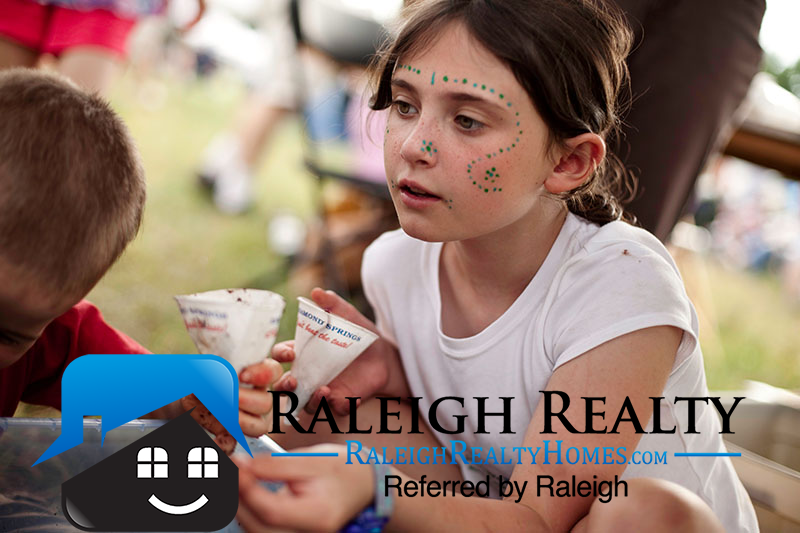 Raleigh Real Estate - North Hills Neighborhood Info. If you enjoy an area where this always something going on, North Hills offers a great variety of activities, fine dining, local events such as the beach music festivals, and some of Raleigh's best restaurants. Here you will find more information about real estate, homes for sale, and North Hills general neighborhood information! Below you will see all the available homes for sale in North Hills. If you're considering buying or selling a home in North Hills let us know. You can reach us by contacting us here. 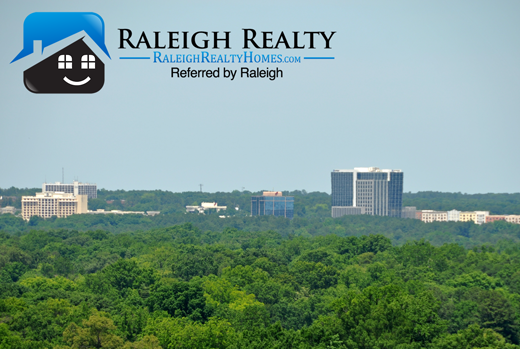 Our Raleigh Realtors are experts in the North Hills area. North Hills real estate is some of the best options in Raleigh. The homes for sale in North Hills offer a variety of types, from townhomes, condos, to luxury homes and even commercial real estate. If you're shopping in the North Hills area let us know and we will be happy to send you new homes for sale the second they hit the market! That way you can be the first one to know about the homes that are for sale in North Hills! Raleigh Real Estate - North Hills Info. North Hills is one of the fastest growing neighborhoods in Raleigh. With easy access to the Crabtree Mall, Glenwood, and downtown Raleigh, great restaurants and nightlife, North Hills is one of the premier neighborhoods in Raleigh. North Hills is located just North of Downtown Raleigh and outside of the beltline. A wide variety of people live in North Hills form young professionals, and families, to older adults looking for a comfortable place to live, work, and play. There is always something going on in North Hills whether it's the Thursday Beach Music Festivals or a night out at some of Raleigh's best restaurants and bars. If you're relocating to Raleigh, North Hills is definitely an area you are going to want to check out! With so many great housing options, things to do, and a great atmosphere it's one of Raleigh's best! 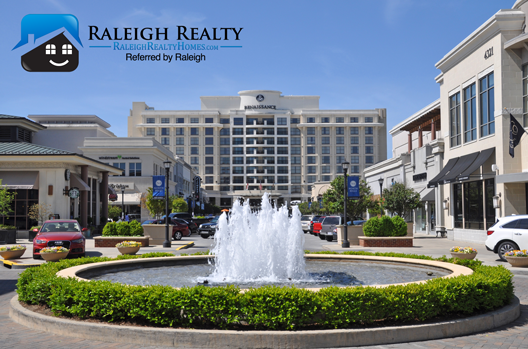 Raleigh Real Estate is a great value, and North Hills is one of the fastest growing areas in Raleigh! There are a lot of great housing options in North Hills, and a large number of builders are focusing on the area. The most recent developments have been new apartment buildings, shopping centers, and more. This is because of the influx of people moving to the North Hills. The large population growth contributes to the need for new homes. If you're looking in the Raleigh area for new construction real estate, there are a lot of great new developments in Raleigh. These new homes and communities bring with them a great neighborhood and lifestyle for those in North Hills. If you're looking for luxury homes for sale in North Hills, there are a lot of great options! You're going to want to make sure you buy in one of the best locations in Raleigh, and North Hills is one of them! The education, growth, business, and overall economic heartbeat of North Hills makes it a great bet for future growth and appreciation. The high end real estate in Raleigh gives a lot of buyers an opportunity to buy, and watch their home appreciate. Some of the contributing factors to home appreciation include location, local community, economy, and population growth. There are many mistakes buyers make when purchasing real estate, so make sure you don't make any of these, especially when purchasing luxury property! To help, we have put together a guide to buying high priced homes. North hills is a great place to live in Raleigh. The area is located in midtown Raleigh and is fileld with economic growth, opportunity, and new developments. The common areas in the shopping center are typically filled with live performances, entertainment, and farmers markets. The area in North Hills started with a grand opening in 1960. The mall was one of the first to ever have air conditioning and it was a main attraction for the Raleigh community. The mall had two floors and was designed in a simple rectangular shape. Anchored by companies like J.C. Penney, Ivey's and Woolworth the growth took off. In 2004, the official grand opening of the North Hills Mall, as renovated by Kane Realty, opened to holiday lights and a live performance by the North Carolina Symphony. An underground parking deck was added to the mall as a part of the many features the new North Hills Mall brought to the table. From fitness centers, to shopping, to find dining and live performances, the North Hills Mall has it all! If you're searching for a North Hills Raleigh Realtor when buying or selling homes, you'll want to make sure that Real Estate Agent knows the local trends. It's important to understand in what direction the local real estate market is trending whether you're searching for homes in North Hills, or anywhere in the United States. The information you gain from knowing the housing market will help you determine the best time to buy and sell a home in North Hills. The houses in North Hills have been steadily appreciating, especially in recent months following a great spring. The homes are selling for almost 10% more in June than they were in April. Looking at homes for sale in North Hills you'll want to make sure you have a Realtor who is going to save you money when buying a home. If you're selling a home in North Hills, our Realtors can sell it fast and for the most money. 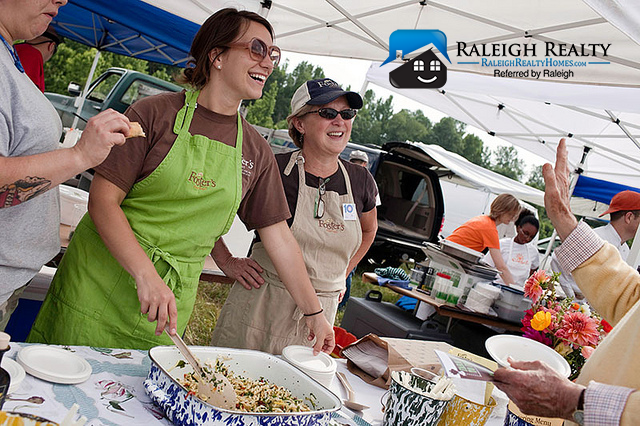 There is a lot of fun activities going on in the North Hills area of Raleigh, North Carolina. Between festivals, live music concerts, and eating, North Hills Raleigh offers a great amount of fun! There are a ton of live performances and musical concerts in the North Hills area, specifically at the North Hills Mall. Check out all the events and things to do on the North Hills calendar here! If you're moving to Raleigh North Hills is an area you absolutely must check out. Between the great schools in North Hills and things to do it is one of the prime locations in Raleigh. The easy access to Glenwood South, Cameron Village and downtown Raleigh provides a great convenience for those who live in North Hills. The entire North Raleigh area as a whole offers a great lifestyle! The Skyline in North Hills Raleigh, NC is beautiful! Check it out in the photo below.